What can I say? We can talk about figs as much as you like, but in my opinion nothing beats the pairing melon&prosciutto. It's an invention so brilliant that I wish I had thought of it myself, one of those things so peacefully just that make you stop looking for reasons. A perfect match, like popcorn at the movies, snow on Christmas Day, or pizza by the slice in an afternoon by the sea. Like Ovaltine before a ski race. 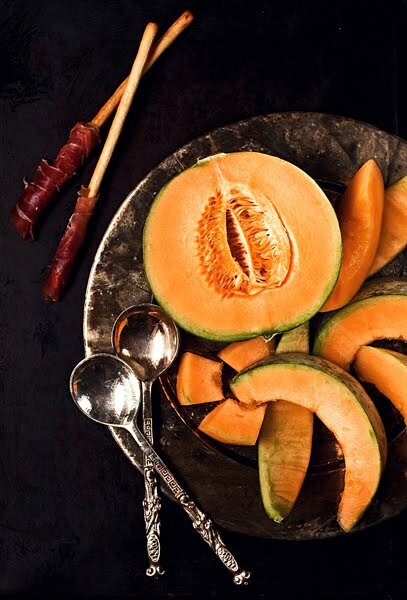 And if that were not enough, melon&prosciutto has the scent of summer, but of the one yet to come, that summer of the mind that's always full of dreams and expectations, with all its shooting stars, its trips to the north of the world, and its love stories stolen to the logic. And I hope you already know all this from experience, because really... raise your hand if you've ever eaten melon&prosciutto, stark as it was invented, without feeling at peace with the world. And I wanted to. I'm serious. I really wanted to stay calm and eat two slices of melon in peace, wrapped in so much goodness just as God intended. But for the benefit of the blog and of the whole humanity, I decided it was my duty to make an exception. So I gave in, and I started smashing and blending the melon with great fun, and messing up prosciutto with as much pain. Yet if they call us foodbloggers there must be a reason. Tested for you. And now don't put up any resistance. melon, net 1 kg approx. Cut melon and peaches in pieces, and blend them with great fun along with lemon juice, balsamic vinegar, a small piece of shallot, a pinch of salt, and a little bit of water. Keep the gazpacho in the fridge until ready to serve. 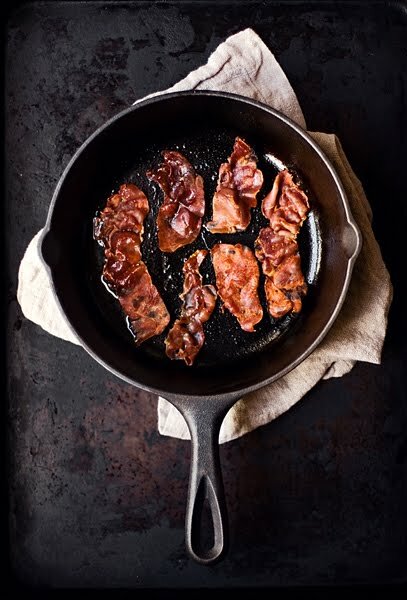 Meanwhile heat some extra-virgin olive oil in a heavy skillet, and despite the great pain add the prosciutto slices, cut in pieces, cooking them on both sides until they are crisp. Dry them on paper towels, then chop them as small as you like. 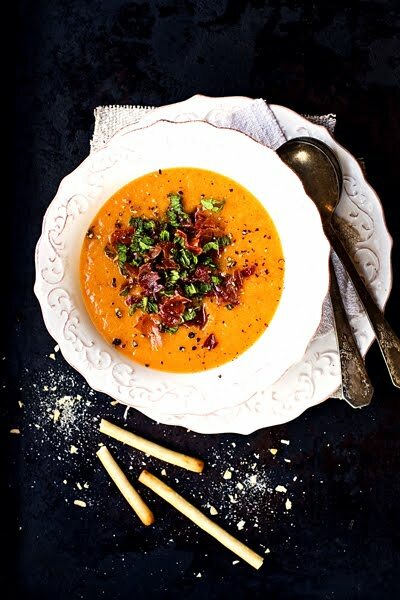 Serve the gazpacho, garnishing each plate with some of the prosciutto, chopped fresh mint, and a sprinkling of black pepper.